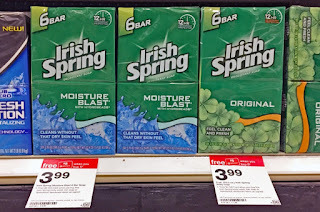 The Target Saver: Irish Spring Soap, 6 pk. - As low as $1.91 ea. Irish Spring Soap, 6 pk. - As low as $1.91 ea. Labels: Irish Spring Soap, Target Body Wash Deals, Target Gift card Deals.